Tired of using HDMI extenders that are limited to 150 feet, and introduce green sparkles alongside horribly compressed or degraded video? 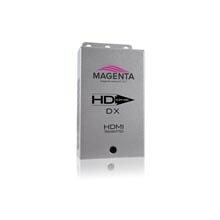 Then it's time to step up to Magenta's HD-One Series. 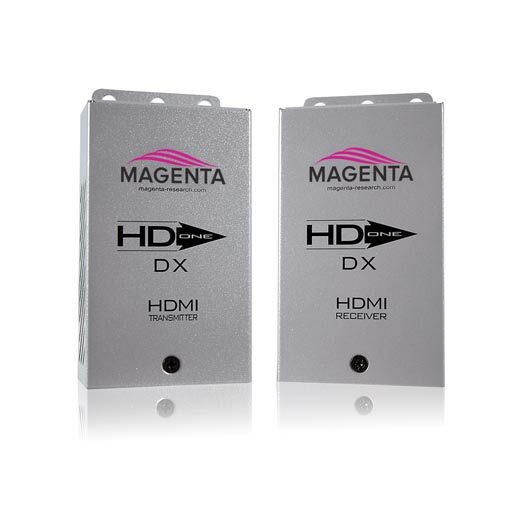 Magenta's HD-One DX delivers reliable, uncompressed high-definition video over a single Cat5e/6/6e/7 cable, to a distance of 328 feet/100 meters. These fully HDCP-compliant devices feature plug-and-play functionality and require no adjustments to get up and running. 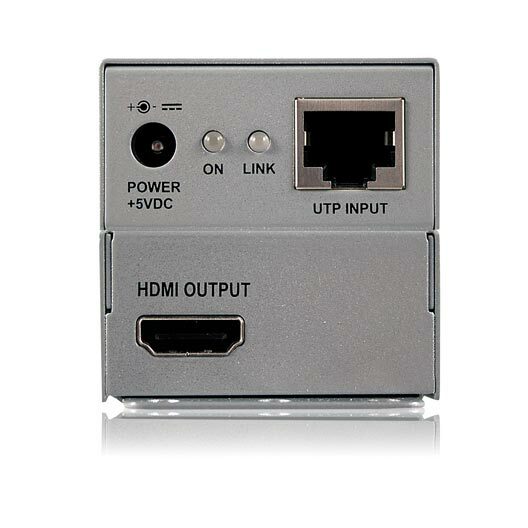 HD-One DX extends embedded HDMI audio in addition to video, with support for Dolby® TrueHD and DTS-HD Master Audio. 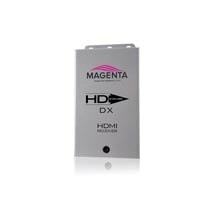 The DX is compliant with HDMI 1.3 and serves up 1080p resolution video at 60Hz, while also boasting support for today's 3D capable devices. The 328 foot reach of HD-One DX is also impossible to replicate using HDMI cables, which are difficult to terminate, costly and can degrade picture quality, even at short distances. 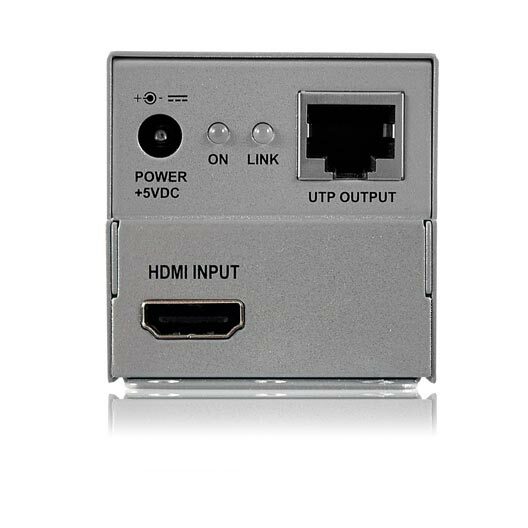 UTP cable is inexpensive and easy to terminate in the field, making HD-One products an easy decision for extending a HDMI or DVI source to any display.